This wonderful couple wanted to create a special ring to celebrate their tenth wedding anniversary. Her original ring had a princess center and side diamonds of different size. 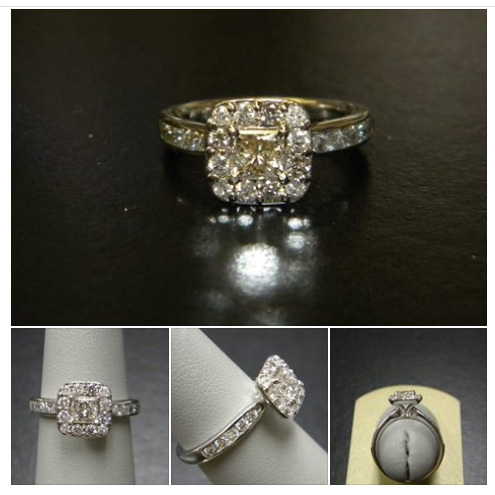 With additional diamonds she had, we created this beautiful ring. The smooth sides allowed for her original channel set wedding band to fit perfectly and the cushion halo frames her diamond. Happy Anniversary! Have a wonderful weekend!